--             mark the underlying cursor bind aware or not. When the number of executions done at distant buckets reaches half that of total executions at all buckets then mark the cursor bind aware during the next execution at any bucket. Indeed the function has correctly expected the transition from bind sensitive to bind aware. Spot how the function has again correctly expected the transition. That’s again a correct expectation. Now will the next execution mark the cursor bind aware? Adaptive Cursor Sharing in real life systems is known to cause performance pain rather than to solve the conflictual issue of sharing and optimizing it has been created for. But it is always nice to know how it works. Particularly to understand the transition of the cursor from bind sensistive to bind aware. DDL optimisation is not working in 12cR2: really? If you want to know what DDL optimisation is then you can read this article I wrote a couple of years ago. Oracle should have used the DDL optimisation technique which has been extended to nullable columns in 12cR1. So what the heck is this? From where am I going to start troubleshooting this issue? 2 – filter("COL2"=42) -- DDL optimisation didn't occur. After having ruled out the hidden parameter hypothesis, I embarked on a bibliography research checking the Oracle official documentation to see whether the DDL optimisation has actually been withdrawn in 12cR2 for nullable added columns having a default value or not. It is useless to say that this effort has been pointless. Table t1 is not compressed. The same DDL worked like a charm in 12cR1 in less a second. While adding a nullable column with default value was taking an eternity, adding a not null column with default value to the same table was instantaneous. This database is reacting exactly as if I were running under an 11gR2 version. But I’ve completely neglected this option and continued exploring other possibilities until I decided to close my laptop and leave for the week end. It doesn’t matter what Oracle version you are running, the only features that you will be allowed to use are those enabled by the Oracle version you will set in the compatible parameter. Thus don’t be surprised to see new features not kicking in if you set the compatible mode to a prior release value where these intended features were not implemented yet. This is a very simple note, as much for my own documentation as anything else, showing how I have extremely rapidly identified what was causing a database application to wait on a library cache lock wait event. 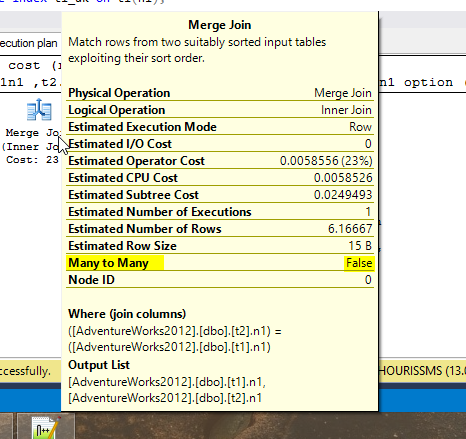 Indeed this query is almost always in the “parse” phase. So the initial question of what is causing this dramatic library cache lock turned to be : why this query is sticking at the parse phase? The multi-user concurrent system was repeating the same query several times and since this query was always failing during the parse phase we observed this library cache lock at the top of the wait events. Which execution plan will be used? If the Cost Based Optimiser comes up with Plan 1, which execution plan will the query finally be allowed to use? From Franck’s question we understand that SPM Plan 2 is not enabled; so we will rule it out from the correct answer possibilities. We can see as well that SPM Plan 1 is not accepted which makes it unusable by the CBO. Since both SPM execution plans are not usable because of their enabled or accepted properties the CBO will use the plan it will come up with : Plan 1 in this case. We have our Plan 2: Accepted but not Enabled. SQL text: select count(:"SYS_B_0") from t_acs where n2 = :"SYS_B_1"
In almost all modern relational databases, the semi join logical operation is triggered via the predicate IN, ANY, SOME, EXISTS and DISTINCT. MS-SQL Server has an extra particularity which makes it using a semi join during an INTERSECT operation as we will see later in this article. It is for this reason that the semi join has been implemented: do not duplicate rows from the outer table when they multiple join with rows from the inner table. Notice that we have no semi join anymore. 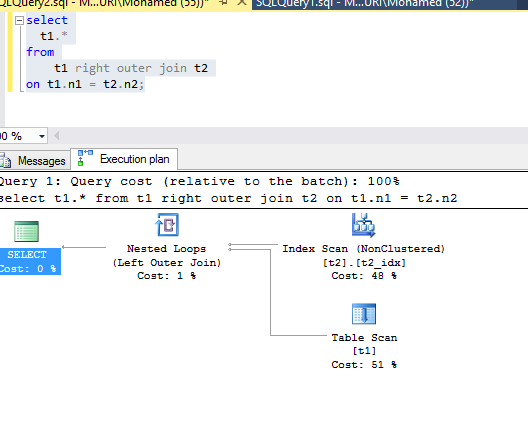 Thanks to the unique index on t2(n1) table, Oracle knows that there are no duplicate rows in the join column of the outer table. It can then reliably use an inner join because rows from the outer table will at most join exactly once with rows from the inner table. As you can see Oracle didn’t use a semi join because it has scanned all rows from the outer table, ordered them and eliminated duplicate rows via the SORT UNIQUE operation. 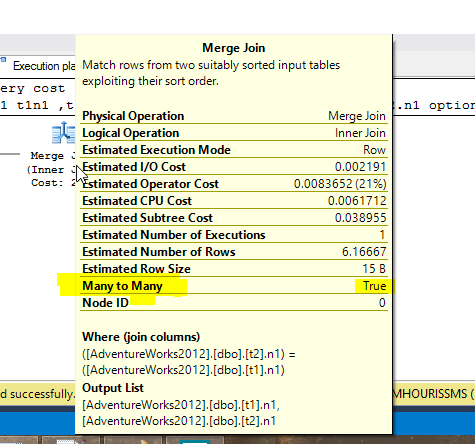 As such when joining with the t1 table Oracle knows that it can join t2 rows at most exactly once. Notice in passing that while the semi join has full scanned the t1 table (10,000 rows) the inner join touched only 5 distinct index keys. Suppose now that we want to select rows from a child table matching their parent rows in the parent table. As expected a classical semi join operation. The semi join has gone because Oracle knows that there is a unique constraint on the join column from the outer table t1, it can then safely use an inner join. Oracle can use a trusted foreign key relationship to remove a logical semi-join and accesses only the t2 table. We have seen in this article how a semi join logical operation is triggered when using IN, ANY, SOME, EXISTS and DISTINCT in several modern relational databases. We’ve outlined as well that, in contrast to Oracle and PostgreSQL, SQL-Server can use a semi join during an INTERSECT set operation. We’ve demonstrated that while a regular joins can duplicate rows, semi joins do not produce any duplicates. They are defined to return (or not) rows only from one table of the join. We’ve also shown that, as long as the CBO is sure that the right table has no duplicate values in the join column, it will fall back to a simple inner join where extra transformations become possible and where the left table might not be fully scanned. Few weeks ago I have been confronted to a weird real life system performance issue which, I believe is worth a sharing blog post. It started by a customer complaint about a dramatic slow in inserts of commands and products so that the application in its entirety appeared frozen. 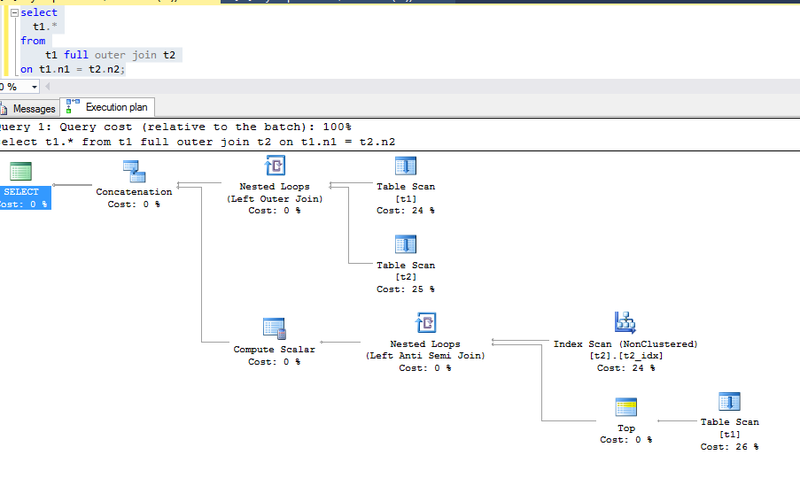 A very quick look-up over ASH shows no particular wait events or any new TOP SQL that I am not aware of. I know this application to such an extent that I can recognize its top queries via their sql_id. This is why my first impression was that there is no particular unusual wait event to point out except a high CPU consumption. Have you ever seen such a dramatic Load Profile? The foreground sessions spend collectively 95 seconds of time for each wall clock second. All those sessions were either actively working or waiting. They burned 7.7 of CPU per wall clock second. For a machine of 24 cores this seems to be a CPU constrained application. The overall workload is generating 1,77 million of logical blocks read per second which represent a rate of approximatively 6GB of logical blocks read per hour. And only a tiny percentage of those block reads are changed (2,465/1,774,174 = 0,13%). The disk is very slow servicing the physical I/O and background events with a dramatic average time wait. I asked the storage team to check the performance of the underlying disk. The confirmation of the dramatic disk latency has been obviously confirmed by the storage team. But the fundamental and legitimate question is what has changed per regards to the yesterday normal functioning of the application that might explain this performance deterioration? While I was trying to figure out a solution I asked a help from a DBA who is the primary owner of another critical application. To my surprise this DBA told me that one of his applications is also suffering from similar performance deterioration and that this application is hosted by the same server as the one hosting the application I am trying to troubleshoot. What a coincidence. When you are troubleshooting an application which seems to be completely frozen and where the disk is very badly servicing the database and where the DB time % column of the AWR Top 10 foreground Events section is not summing up to 100% then you are probably CPU bounded. In such case, don’t forget to consider, among the panoply of your check list, whether others applications hosted in the same server are not stressing the disk with very aggressive parallel queries. the very first execution of this cursor should not be run via a parallel execution plan. The very first execution of the above cursor used a serial execution plan and an equality predicate on a skewed column having Frequency histogram. This is why it has been marked bind sensitive. But what would have happened to the cursor if its very first execution has been ran parallely? Since the very first execution of the cursor uses a parallel execution plan Oracle refuses to set its bind sensitive property. And from this stage and on, until a cursor is flushed out from the library cache, all cursor executions will share the same parallel execution plan. But what would have happened if the very first cursor execution would have used a serial plan? The new child number 2 is not anymore bind sensistive nor bind aware. That’s the most important conclusion of this article : Oracle doesn’t allow ACS to work with parallelism. ACS has been implemented for very frequently used queries having different set of bind variables values each of which generating different amount of I/O. In this context, Oracle decided to cancel ACS whenever a parallel plan is triggred by ECS. Before 12cR2 there was a bug identified by Bug 16226575 in which ACS was disabled for query having decorated parallel object irrespective of the plan being chosen serial or parallel. As we saw in this article this has been fixed in 12cR2. ACS will be disabled only if its produced execution plan is parallel. The most important characteristic of this query is that it consumes 250K logical I/O per execution and that it can sometime last up to 18 seconds. This is a query generated by Hibernate. Unfortunately, due to the Hibernate obsession of changing table aliases, this query has got a new sql_id when it has been deployed in production via the December release. This is why we lost the track of the query pre-release statistics that would have allowed us to get the previous acceptable execution plan. Notice how, thanks to the fix I will explain in the next section, I have got a remarkable drop of the number of Logical I/O consumption from 244K to 17K per execution on average. How this has been achieved? The CBO has made a very bad choice preferring the IDX_PRD_TYPE index over another existing index with a much better index effective selectivity. And the initial question turned to : why the primary key index has not been used in this critical part of the executio plan? At this stage of the investigations it becomes crystal clear for me that using the primary key index is, to a very large extent, better that using the index on the PRODUCT_TYPE column. This is simply because, if used by the CBO, the primary key index will supply its parent table operation by at most one rowid per element in the in-list predicate. That is for an in-list of 398 elements Oracle will only filter 398 rows at the table level using the PRODUCT_TYPE = ‘M’ filter. That’s largely better than filtering 3M of rows at the table level using the 3M of index rowids supplied by the IDX_PRD_TYPE(PRODUCT_TYPE,COLX) index. Bear in mind as well that all parameters participating in the index desirability are at their default values. And that the PRODUCT_TYPE column has a remarkable frequency histogram showing perfectly the not evenly distribution of its 13 distinct values. And the initial question turned to : why the cost of the inapropriate index is cheaper? And finally the initial question turned to be: why the IDX_PRD_TYPE index has no statistics? The combination of the above two points resulted in a newly created index without any statistics making this index appearing very cheap in the CBO eyes and consequently leading to a very bad choice and to a noticeable performance issue. All things being equal when you decide to lock the statistics of one your tables then bear in mind that any newly created index on this table will not have any statistics. This index will the be, naturally, much more desirable than any other index created before the lock of the table statistics resulting, fairlly likely, into wrong index choice and bad execution plans. If you are in a similar situation you had then better to manually gather statistics of your new indexes as long as the statistics of your table are kept locked.